Inkymole: Sarah at the Apple Store, Covent Garden. 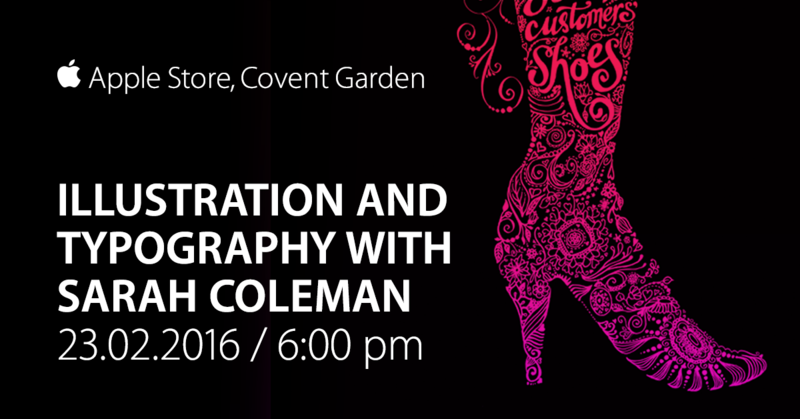 I’ll be giving a short talk at the Apple Store in Covent Garden next week, Tuesday 23rd February. From 6pm, you can book tickets here - it’s free - and first come first served. 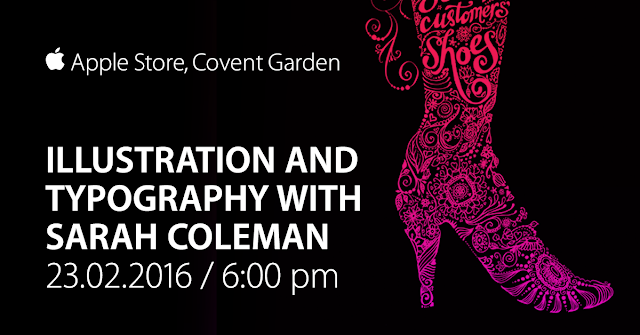 I’ll be talking about illustration and related but non-serious matters involving pencils and pens. And maybe I’ll mention an Apple gadget or six. (I think there may be refreshments…oh wait, no, just a massive amount off Apple gear to fondle). Join Sarah J Coleman, aka Inkymole, as she explains how a love of ink inspired her to pursue a career in illustration and lettering, and why she’s so excited about the possibilities of digital ink with the iPad Pro and Apple Pencil. Register before arrival.